Trusted by more than 260,000 businesses worldwide, Magento Commerce is the leading provider of cloud commerce innovation to merchants and brands across B2C and B2B industries. In addition to its flagship open source digital commerce platform, Magento Commerce boasts a strong portfolio of cloud-based omni-channel solutions empowering merchants to successfully integrate digital and physical shopping experiences. With more than $101 billion in gross merchandise volume transacted on the platform annually, Magento Commerce is the #1 provider to the Internet Retailer Top 1000, counting more than double the clients to the next closest competitor, the B2B 300, and the Top 500 Guides for Europe and Latin America. 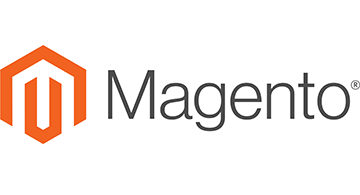 Magento Commerce is supported by a vast global network of solution and technology partners, a highly active global developer community and the largest eCommerce marketplace for extensions available for download on the Magento Marketplace.